Firstcall Photographic's spring/summer catalogue arrived in the post the other day with the usual sprinkling of film and darkroom goodies jostling for space alongside digital gear. 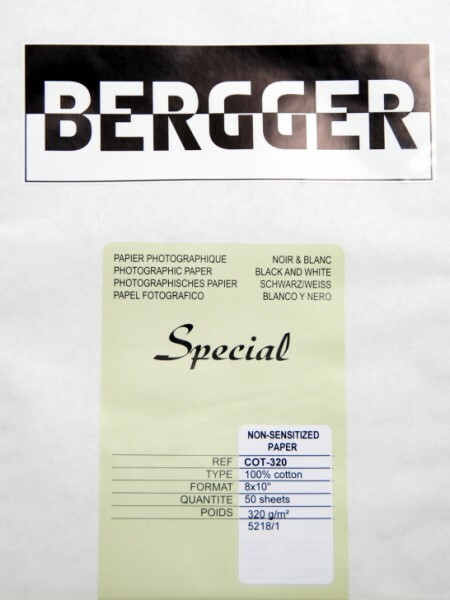 One thing I noticed, though, is that the company is now stocking a couple of darkroom papers from French firm Bergger. According to Firstcall, they're made in France which is a clear indication that it's not repackaged stuff from the usual suspects. I hope that's the case but, whilst not doubting Firstcall, these things can get very complicated to the extent that it's difficult knowing what's what. Maybe some of my French readers can shed some light on this? The two papers are Cot 320, a heavyweight, non-sensitised, 100% cotton paper that is designed to be hand-coated with your choice of emulsion or sensitive material for alternative processes. The other is Art Contact, a fibre-based, single grade, glossy paper that is intended for use mainly, as the name suggests, in contact printing. Firstcall describes it as "contact speed" which I'd imagine is another way of saying slow. I'm not up on these things so please don't take my word for it but I'm not aware of another contact paper on the UK market. Or maybe I just haven't noticed it in the past. The Cot 320 comes in 50 sheets of 10x8 at £42, 25 sheets of 11x14 at £46.80 and 25 sheets of 16x20 at £70.80. 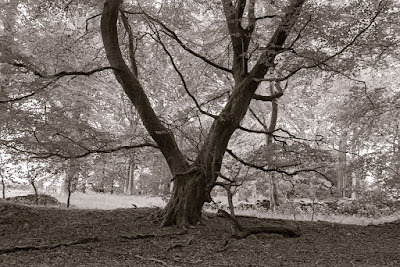 It's also available in a 1.3m x 10m roll for £156. Art Contact, meanwhile, is £31.20 for 25 sheets of 10x8, £58.80 for 25 sheets of 11x14 and £54 for 10 sheets of 16x20. The papers only made it into the Firstcall catalogue as a "Stop Press" item and I've just noticed that there's no mention of it on their website yet. No doubt the site will be updated in due course. mm, was drooling over several items in that catalogue the other day! COT320 is my favorite papervfor Palladium printing. Needs no special treatment, and gives great detail. I'm not familiar with the Art Contact, but have used Fomalux and Lodima both of which are silver chloride papers suitable for contact printing. They are slow enough that my safelight is a yellow buglight. Its therefore very easy to do things like local development to fine tune your prints. It's also available from the distributors, Linhof and Studio; see their website here.